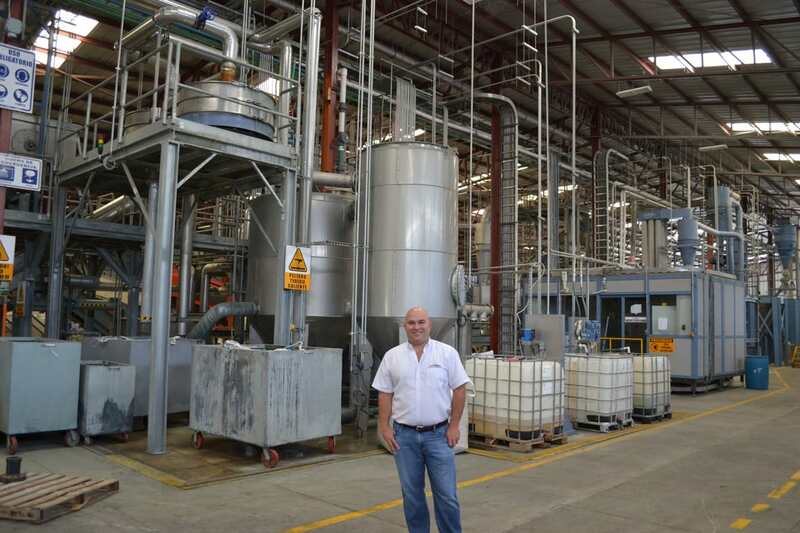 The recycling company INVEMA (www.invemagroup.com) commissioned a plant for the recycling of PET bottles in Honduras at the end of 2016 in order to produce bottle-to-bottle quality with FDA approval. In the first expansion stage the plant is producing 2000 t/month. Fig. 1: In Honduras the collection rate of PET bottles amounts to 84 %. 2000 t PET bottles per month are treated with the plant technology from Herbold Meckesheim. In a multi-stage process, the bottles are pre-sorted, size-reduced, washed cold and hot and after drying forwarded to a flake sorting step. The German machine manufacturer HERBOLD MECKESHEIM produced, installed and commissioned the plant. Fig. 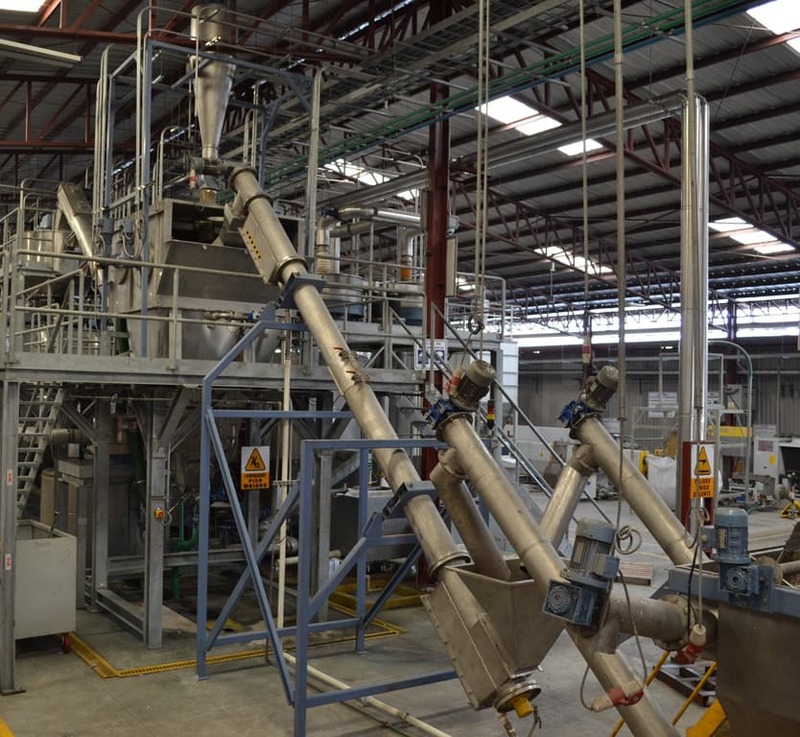 2: After sorting, the PET bottles are size reduced in two Herbold granulators with a capacity of 1800 kg/h. Fig. 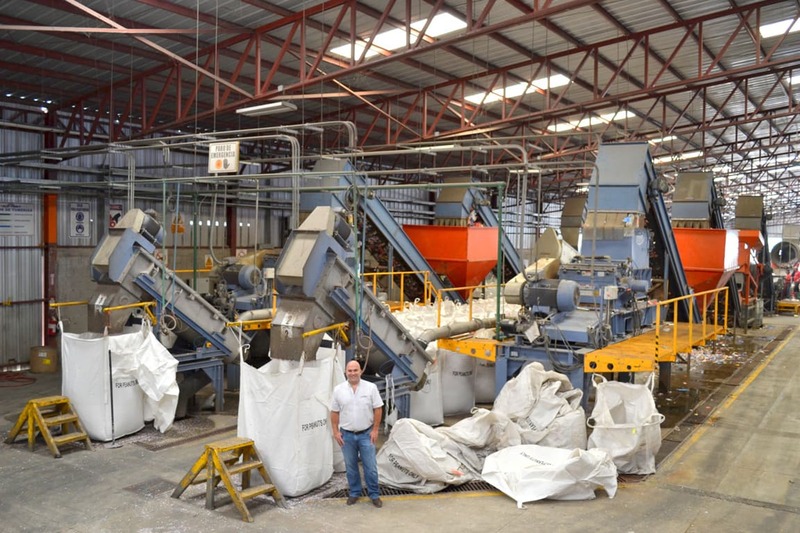 3: The hot washing plant for PET bottle flakes from Herbold Meckesheim guarantees high-quality regranulate at INVEMA. Fig. 4: Secondary cleaning of the PO fraction during the hydrocyclone separation step from Herbold Meckesheim.